First-seen on the Dior Cruise 2018 Ad Campaign, but it was already love-at-first-sight. The Lady Dior Bag is a symbol in the fashion world and it’s famous for being carried by Princess Diana. The look has been slightly altered, but it’s stunning beyond words. So without further talking, introducing the Lady Dior Studded Flower Bag. 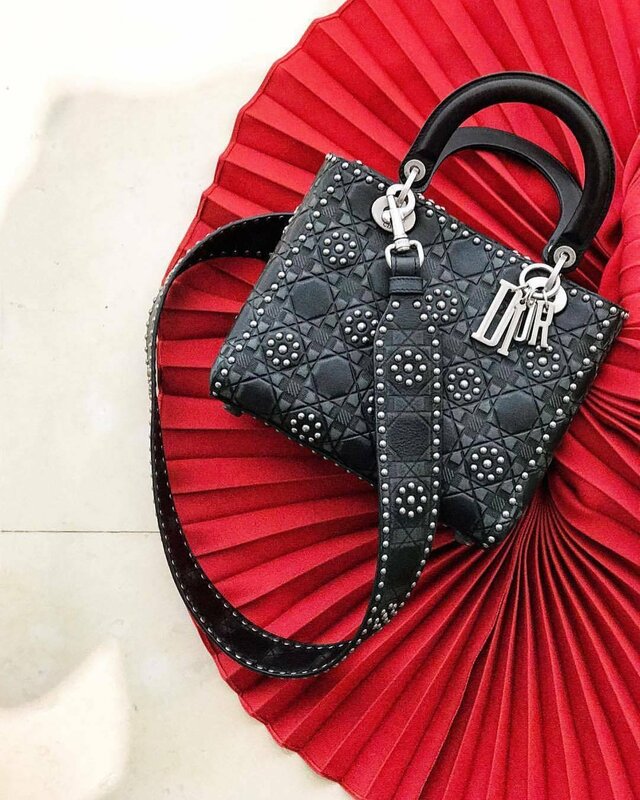 When Dior started to put studs on the Lady Dior Bag, we became a little bit nervous. 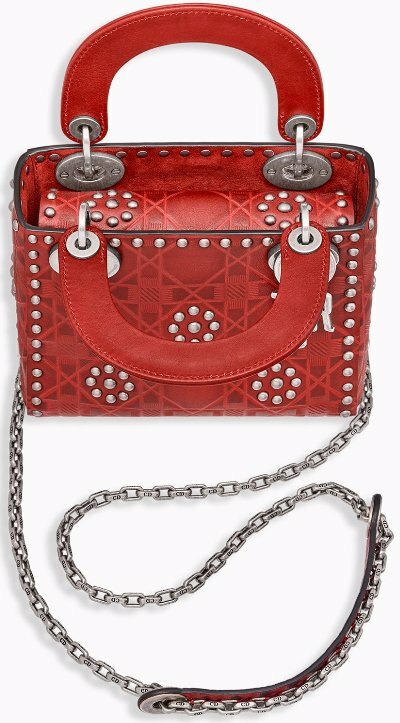 Because adding studs on an ultra-chic bag is going to change the experience. However, the latest Studded Flower design is a big hit. We love the urban-chic style on the body of this iconic bag. 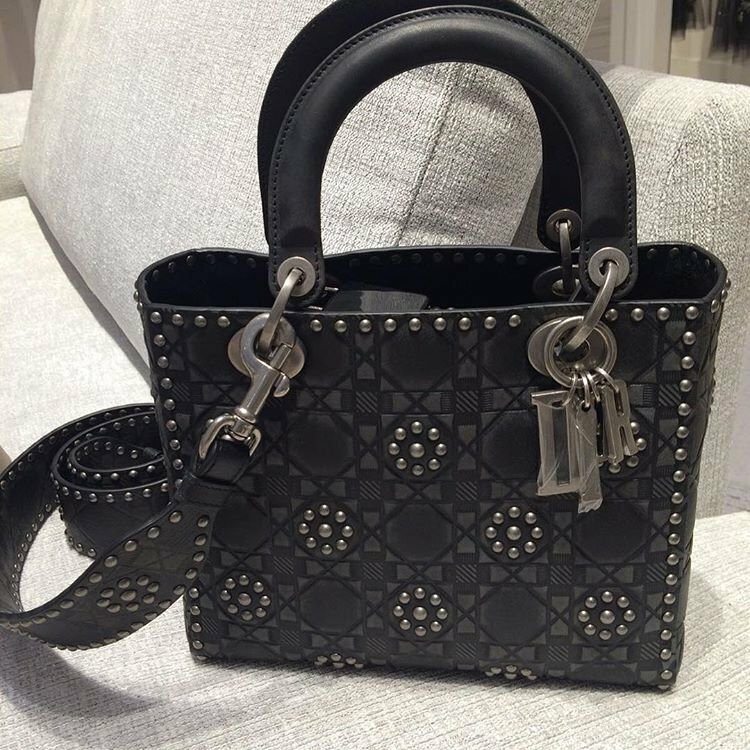 Refined with Cannage design, but it’s heat-embossed and not the same like the Cannage Stitching on original Lady Dior Bag. This Cannage design is flat, but it’s needed to embellish the circle studs. 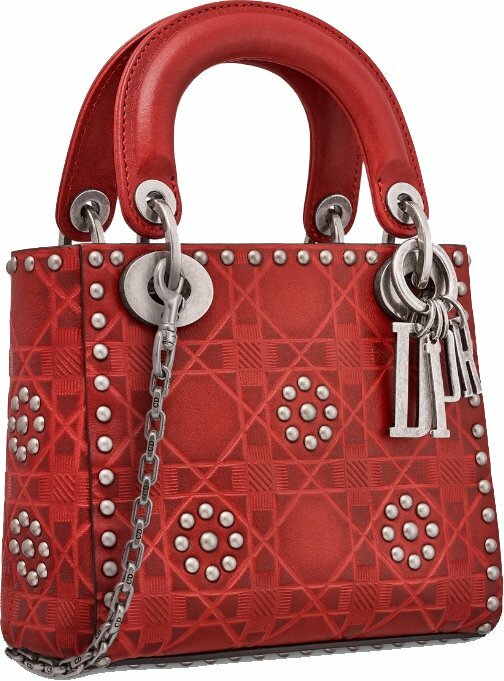 As you can see, the studs form a flower-shape, but it’s also crafted around the bag. To finalize it’s urban-chic look, Dior changed the chains as well as the DIOR charm. 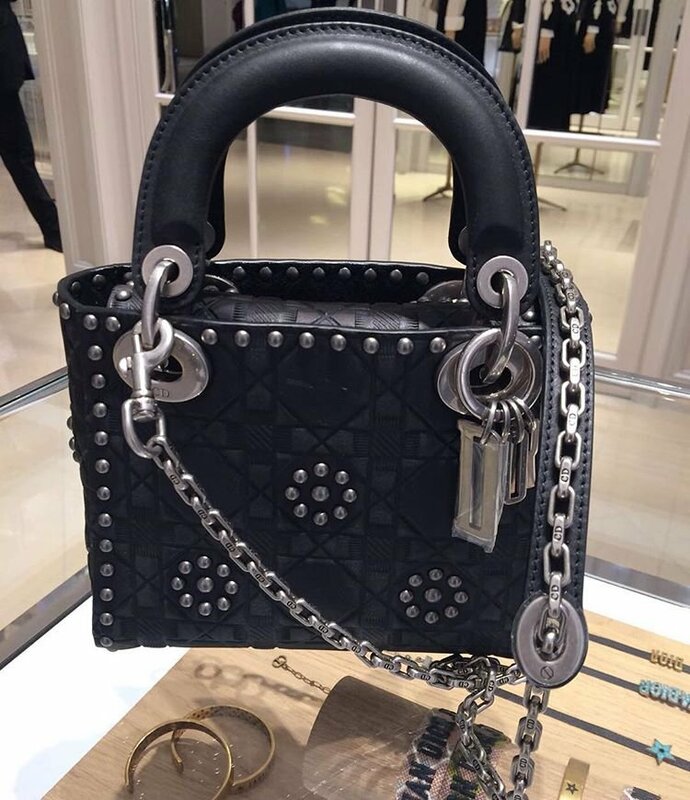 The chains appear to be less smooth than the ones on the original Lady Dior Bag. 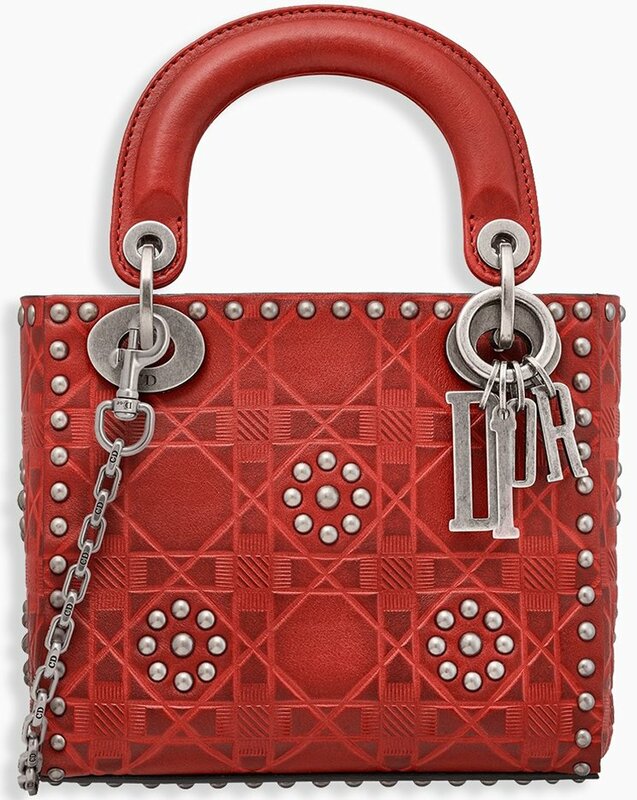 It also features the new stiff DIOR charm in aged (silver) hardware. Made from impeccable calfskin leather, so you don’t need to worry about baby-ing it. The chains can be removed, but it can be used to carry cross body or just sling it on your shoulder. The interior of this Lady Dior Bag is secured with a flap. Behind it you will find one large space to store your daily essentials.